Hey all! Thanks for an awesome second Fanime! I thought I would post this forum to let people drop their photography albums and post their character names that are searching for photos. It's always nice to get photos back taken in the hall or outside but didn't get the photographer or cosplayers name. So post away!! I was X23 with Kitty Pryde and Logan on friday and Boswer with Meta Knight, Zelda, and Kirby on Saturday! Friday I was Draco Malfoy for the first part, then sadou Maou for the second part with Chiho and ashyia. Sunday was eeveelutions with umbreon, sylveon, and jolteon. And Monday was sadou Maou again by myself. I'll be uploading my pics pretty soon here, can't wait to see wveryone else's. Nothing but old school / vintage anime cosplay from me. Friday I was Ryo Saeba along with my wife as Kaori Makimura from City Hunter. We hosted the Old School Cosplay Gathering (official gathering photos here - https://fanimecon.slickpic.com/albums/FanimeCon-Friday-4pm-7pm/?wallpaper - unofficial photos on the way) Yes, I know I'm a total idiot when I cosplay as Ryo. Saturday I was Kiichi Goto along with my wife as Shinobu Nagumo from Mobile Police Patlabor. Sunday I was Motoki Furuhata along with my wife as Makoto Kino from Sailor Moon. We were also at the awesome Sailor Moon gathering. 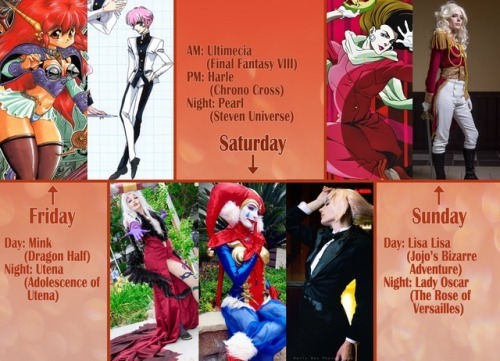 Wonderful Fanime this year, all around. Saturday: FFXIV miqote wearing the thavnarian bolero outfit and pirate tricorn (pirate hat). My partner was a miqote machinist w/turret . Sunday: Yuna FFX. My partner was a miqote machinist again w/turret. Hiya! 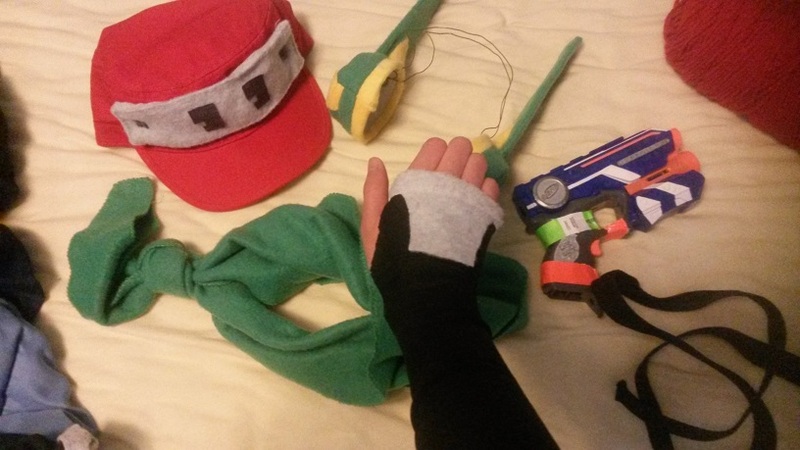 Quote (Cave Story) on Sunday and Monday, with a little blue Nerf gun for a Polar Star and black sleeves -- first time at a con and first time cosplaying as well. Thanks for the awesome time, guys! Hi all! 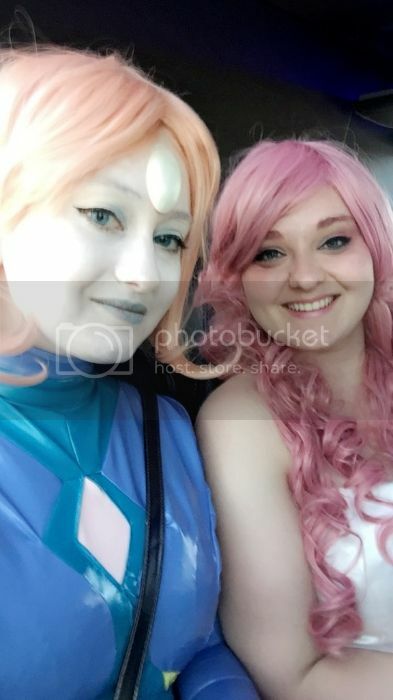 My girlfriend and I were Spacesuit Pearl and Rose Quartz all weekend, and we'd love any photos anyone had of us! Here's a pic. When we were young, we used to say that you only hear the music when your heart begins to break... now we are the kids from yesterday. 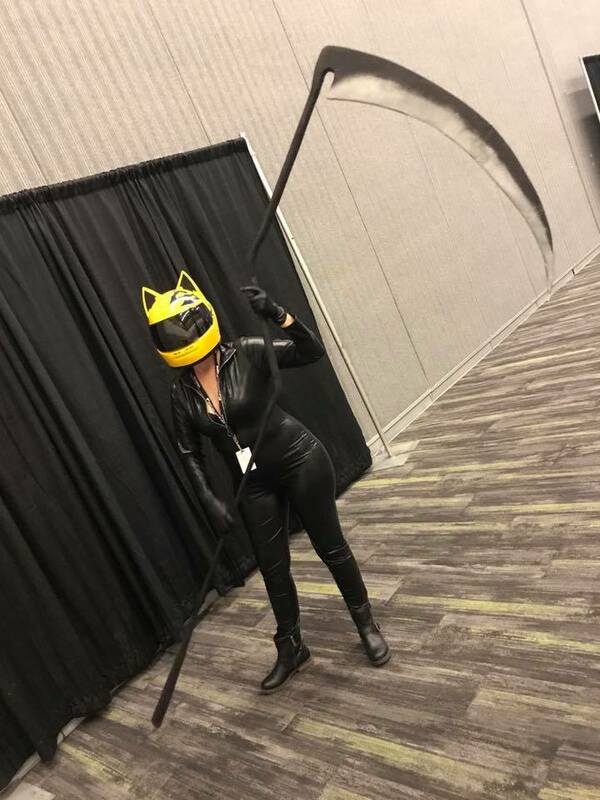 I did a Celty cosplay from DRRR!! Friday, Saturday, and Sunday. I had a giant scythe with me while I roamed the con. If anyone snagged some photos feel free to share! You can also catch me on my Instagram account Sleepynemu. I was the Vocaloid DAINA(orange hair and fake fox ears) on Saturday. I also wore a Xion cosplay that day. Hit me up if you have photos! I saw a giant penguin walking around. Did anyone catch that? Friday I was Kazuhira Miller from the MGS series. Sunday I was Lady Zero from Drakengard 3! If anyone has pictures from the Pokemon or Gravity Falls gatherings, I'd love those too! Hello people! I hope everyone had a good Fanime'17 I did at least! I was wondering if anyone had a photo of me? I believe it was Friday or Saturday, I was Mettaton EX and posing with the Ginyu Force that was walking around for a bit. They made me an honorary member since we had similar armor and I posed with them for a bit and had quite the crowd. If any one has photos from it, it would be amazing!